There are several Search Engine Optimization strategies used for improving your search rankings. A few of them are a hundred percent legal and authorized by search engines, while other tactics are forbidden and will get you penalized by different search engines. There are three classifications of all these practices. One is the White Hat SEO. Second, the Black Hat SEO and third, the Grey Hat SEO. All of these techniques will get you results. However, one can convey penalties and sanctions from search engines, one will give you great results, and one may ban you from search engines. With all of these in mind, it’s crucial and vital to learn and understand the differences and similarities between the three SEO techniques. In this post, we’ll focus on differentiating two SEO techniques, in particular, White Hat Vs. Grey Hat SEO. 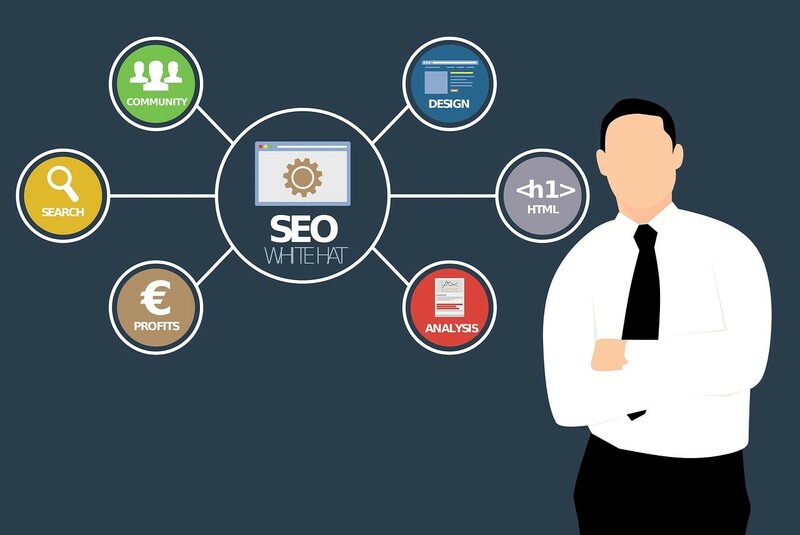 White hat SEO is an ethical SEO technique. It encompasses methods that adhere to the guidelines and principles of search engines. The ultimate goal of white hat SEO is to create and develop a site that’s beneficial and advantageous for its users. Subsequently, the number of high-quality sites increases, which is why these type of method is, for the most part, acknowledged by search engines. White hat SEO often need an ample amount of endeavor and is much slower compared to other SEO techniques. There are a lot of White hat SEO techniques that you can use to boost your traffic. Here are some of them. Yes, you read it right. Keyword research is still a crucial and necessary method for every SEO strategy to succeed. Since Google provides fewer keyword data, two of the most popular SEO tool providers, Ahrefs and Moz, have created and improved tools. Thanks to RankBrain, another excellent tool, the process of doing keyword research and utilizing the results has changed. Primarily, RankBrain is, for the most part, a machine learning. For this reason, Google can put things in the text, instead of depending on a series of metadata. To put it simply, Google can now comprehend language nuances such as synonyms, stemming, and answers. The new batch of keyword apparatus takes this into account by developing stuff such as Keyword Groups and Parent Topics. With this information, users can create content that includes a series of relevant phrases. But keep in mind to refrain from stuffing every word onto a page. Headers are the HTML code, H1, H2, H3, H4, etc. that commences the paragraphs in the content. So that you know, Google regards these headers as important and essential. Therefore, you should also. Let’s start with the H1. It’s the main topic of the page. Okay, the rules are simple here. You must use one H1 tag for each page. Because it’s the main header, it will confuse and mislead search engines, which can lower your rankings. Next are the H2 tags. They are quite similar to the H1 tags. H2 tags are the subheadings for the page. For example, a page about dentistry. An excellent H2 tag would be its products and services. Lastly, H3 tags are quite similar to the H2 tags. However, they are not that important. H3 tags are the subheadings inside H2 tags. Take note that they aren’t always imperative. By including these tags into your pages, you’re strengthening and stressing what your site is all about. By linking web pages on your site through keywords, you’re driving internal backlinks to the web pages on your site. As a result, search engines and users alike can easily connect the topics to your web pages. With keywords, you are adequately informing Google what the page is all about. In return, Google will send link juice to your web page boosting your site’s authority. It’s like a page vouching for other pages and giving approval of content found there. But keep in mind to put the internal links to the web pages you’d want to rank for in Google. So, if you do not want to rank a particular page on your site, don’t put lots of internal links there. Image optimization is the means of using images to boost rankings. For the most part, your pictures should be pleasant to the eyes and compact to boost page speed. However, always label your image file using the anchor texts or keywords for your website. Keep in mind not to name your images image1.png or 12123154454dssg.jpg. It will tell nothing about the photos. Alternatively, consider using some keywords. Say, for instance, if you have a website for dentists, then the name dentist.jpg would serve you much better. Aside from this, it’s always a great idea to use keywords into the alt tag of the images. The alt tag gives search engines and users an idea of what the images are all about. By using keywords, it’s more likely Google will rank your site. Grey Hat SEO is a Search Engine Optimization technique that is much trickier compared to White Hat SEO. An SEO practice that may or may not ban your website from search engines and their subsidiary sites. This SEO practice neither belongs to the White Hat or Black Hat league since the terms of service concerning the issue is vague. In general, Grey Hat SEO is quite tricky to define. It’s the practice of techniques or tactics which remain unclear to Google’s published guidelines. Here are some Grey Hat SEO techniques that you should know. Social Media is essential and vital to advertise and publicize your business. Owning multiple social media accounts is an excellent way to foster safe signals for your website. You need to build dummy accounts, add picture, bio, and begin promoting these dummy accounts. For example, you have a Facebook account for your business. You can set up two more accounts to share and give likes to your business. Remember to expand your network by connecting to other publishing materials and prominent figures. Yes, it may require more time and efforts to create engagements, but it is a great technique to promote your site effectively. Buying expired domains is a Grey Hat technique that can boost your website backlinks. It’s one of the most well-known Grey Hat practices. It works great if it is, for the most part, done right. But if it has done it in a wrong way it will be Black Hat SEO which will end up in a penalty. When you choose to purchase an expired domain, then keep in mind to only buy a unique URL. As such, it’s of the utmost importance to check and verify if the URL was, for the most part, not penalized in the past. Also, go for a URL that’s relevant to your site and, most importantly, free of any harmful links. If you want to generate and drive more traffic to your site, produce long content. If you’re in a competitive niche, consider posting blogs of at least 2,000 words. Adding words to your old content can aid you in generating traffic to your site. In the war between white hat vs. grey hat SEO, this is the similarity. Many of the big bloggers and webmasters use this technique and consider it to be a white hat SEO technique. According to some research, content with at least 2,000 words can work wonders on your organic traffic. With that said, aim for this length when you’re updating your old content. Keep in mind that keyword stuffing will only impair and weaken your search rankings. However, by taking advantage of the right keyword density in your posts, it can work miracles on your rankings. Be sure to incorporate or place keywords naturally. If you want to promote your business and improve your ranking, be sure to plan your SEO strategy, with the help of an SEO service provider or not, deliberately and refrain from any suspicious techniques. There are plenty of reasons why you need to know these SEO techniques are available. First, you need to know what’s okay to use and not. Also, you need to keep an eye on your competitors and discern what strategy they use. Aside from this, it’s always better to understand how a search engine algorithm works to acquire more advantage from it. After reading this post I will going to update my old blog posts. For better ranking in in search results as well as increase the PA.
Hey Robin, excellent write up. White hat SEO is the only recommended method to follow if you want to get the most out of search engine algorithms such as Panda, Penguin and so on as they focus on getting traffic and links through the quality of content and natural linking sources (such as inbound links from other blogs, email outreach, infographics links and so on). Whereas grey hat SEO can be only used by experts who know what they are doing. Just make sure to comply with Google rules to avoid any penalties in the future. Make sure to avoid black hat SEO techniques such as buying links, keyword stuffing at all costs as they are not going to help you in anyway except that you’ll get penalized sooner or later. Thanks for sharing the post with us as there are so many people still falling for wrong SEO practices. The truth of the matter is that not all SEO practitioner will follow the same rule and it is extremely important to know the difference between the marketing tactics. When inquiry with the SEO companies or professional it is sure to figure out the thing where they are exactly stand by analyzing the manipulating activities in mind.